Lorena Valdez grew up in a city called El Monte near Los Angeles. The streets inspire my reality as well as culture, music, fashion runway, horror movies, vampires, and art. My favorite fashion Designers are Alexander McQueen, Thierry Mugler, John Galliano And Phillip Treacy. The artists that inspire me Salvador Dali, Frida Kahlo, Olivia De Berardinis and Michael Hussar. I was Lucky enough to have two of my favorite artist draw my dream come true. Olivia De Berardinis is amazing soul, not just artist. Michael Hussar is also great his very dark. Favorite Music Darkwave and industrial. Favorite Bands Bauhaus and Dead Can Dance. 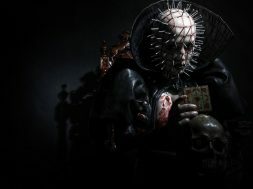 Favorite movie Hellraiser! Why I cosplay pinhead? I love Clive Barker Mind the characters he created in the 80s for the movie Hellraiser especially pinhead. I have always been into extreme out of the box, unique art, fashion, and makeup. 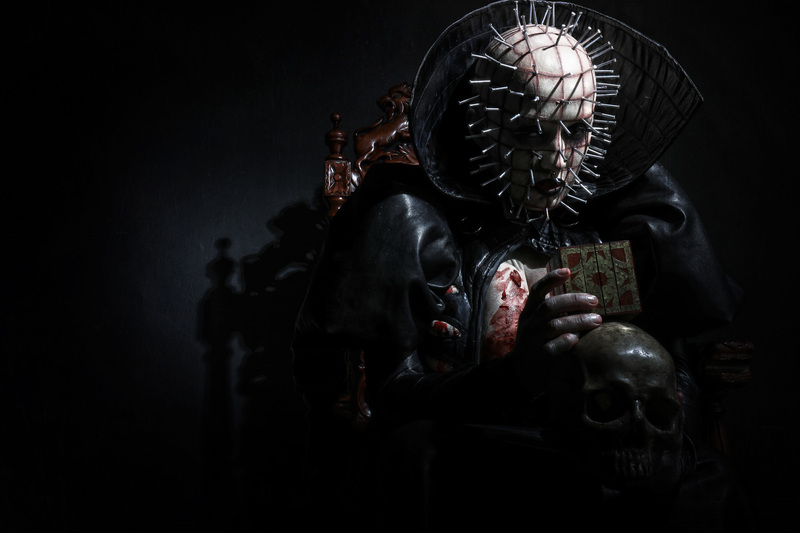 So when I saw Hellraiser the movie the detailed in the characters clothing make up blew my mind.